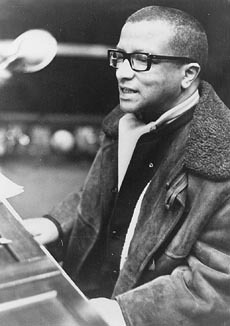 Though written between 1936 and 1938, “Lush Life” was not performed publicly until 1948, when Strayhorn and vocalist Kay Davis performed it with the Duke Ellington Orchestra at Carnegie Hall in 1948. It’s rather amazing to realize that Strayhdorn was only a teenager when he started writing this song. It has had several notable recordings, including those by Nat “King” Cole, Billy Ekstine and Johnny Hartman. “Lush Life” was recorded in 2014 as a solo by Lady Gaga and released that year on Cheek To Cheek. It was arranged by Jorge Calandrelli.